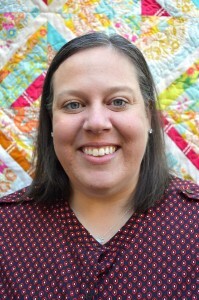 Today I’m “re-blogging” a post by friend Melanie because I think it’s relevant not just to quilters but to anyone with a hobby–which is most of us. So click through to her site and see what you think. Images for this post are the property of Lee Chappell Monroe, May Chappell and used with permission. Why May Chappell? There are always loads of questions about why the company is May Chappell and not Lee Chappell Monroe. You can read all about it here. The short version is that it is named for an awesome lady, my great grandmother. 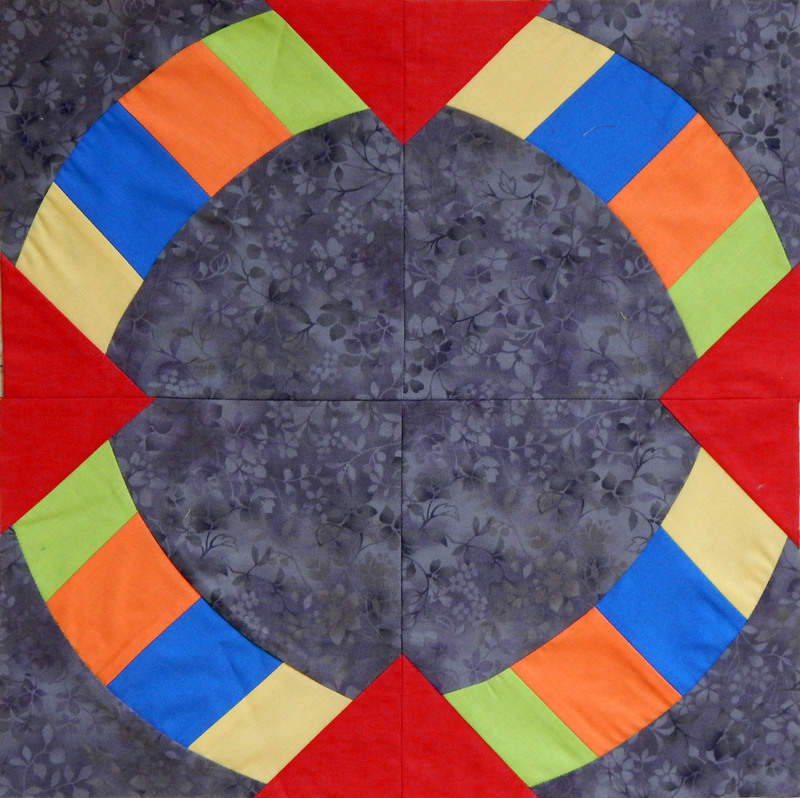 Q: Where do you think the quilting field is going? A: This is a toughie. I usually see trends in the questions that I get from my students. I’ve had a lot of students lately that are self taught and they’re interested in learning more about precision. 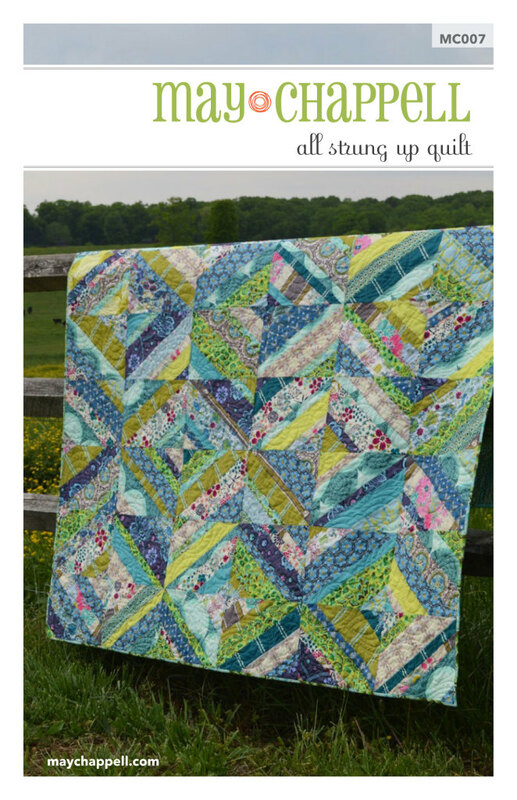 I’m a big believer that there is more than one right way to do things in quilting, but there sure are some wrong ways! 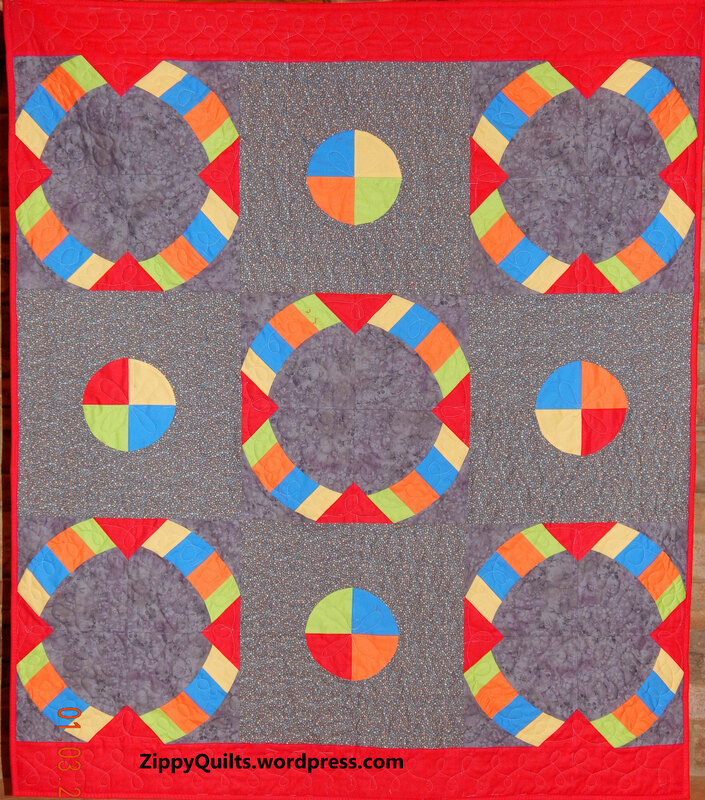 Q: What about your personal quilting future? 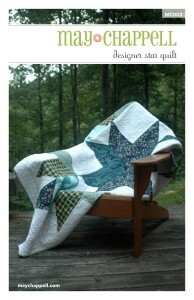 A: I have new patterns coming for Spring Market that I’m really excited about. I’m a terrible secret keeper so I usually want to put out the design right as I draw it! Lee’s Designer Star Quilt. If you go to her website/shop you can see a picture of the whole thing. 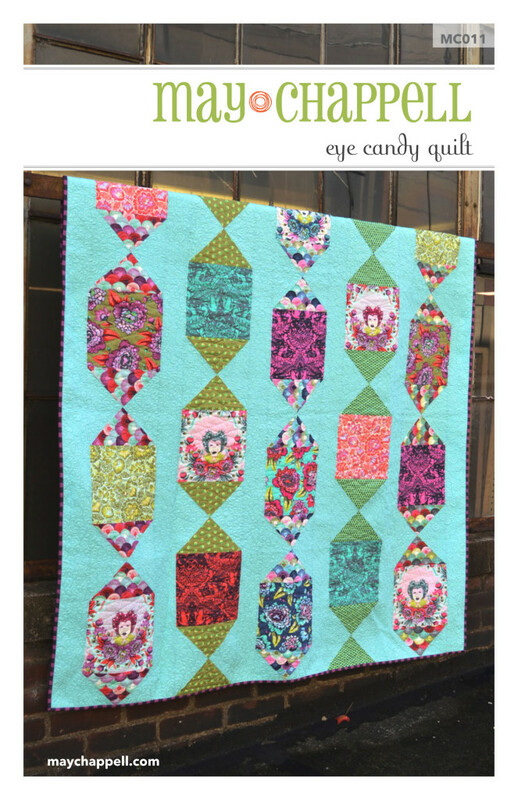 A: I love designing patterns and the printed patterns are available through local quilt shops. 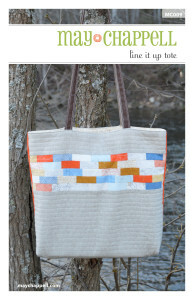 Because I also teach quilting at local shops, I’m a huge advocate for supporting local! 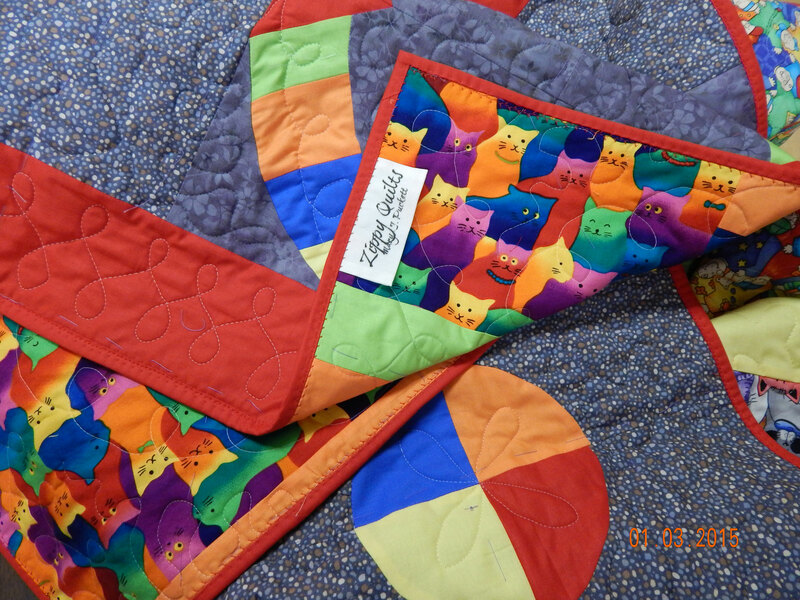 Quilt shops are a huge resource for the sewing and quilting community. 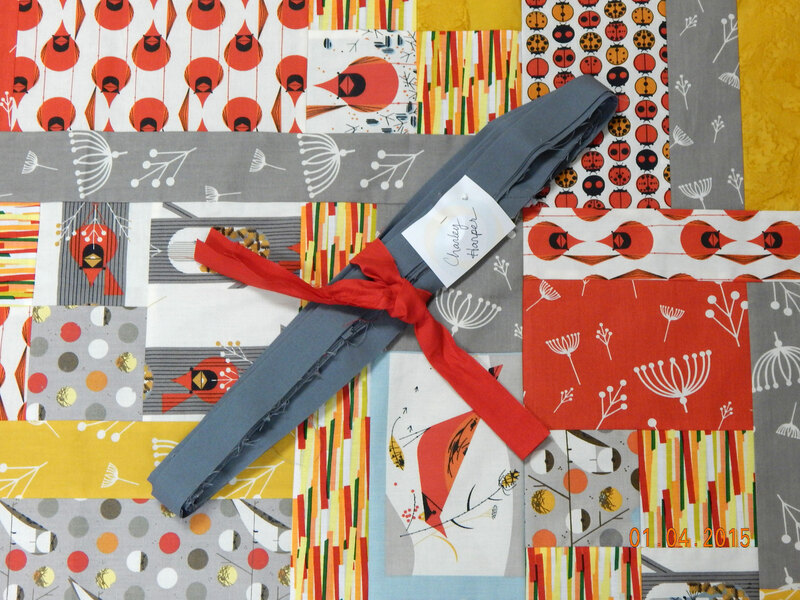 If your shop doesn’t have my patterns, they’re available through the distributors. 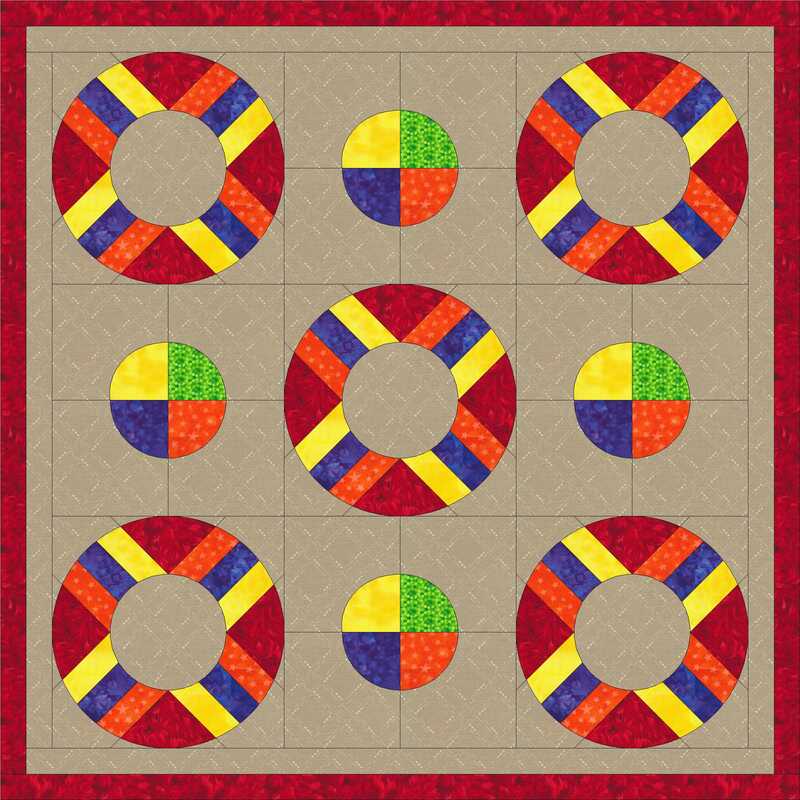 You can also purchase PDF patterns through my website here. I teach all over North Carolina and I’m starting to expand out across the country. Teaching is my favorite part of my job; I’m passionate about quilting and I love sharing that. You can see my teaching schedule on my website, too. Q: Show us something pretty you’ve made lately! 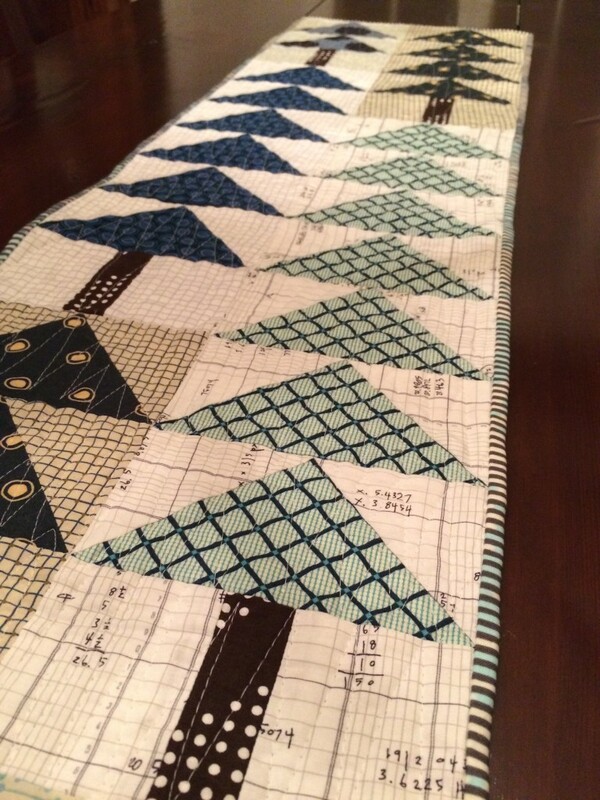 A: This is a table runner I made for my brother using my Blue Ridge pattern. 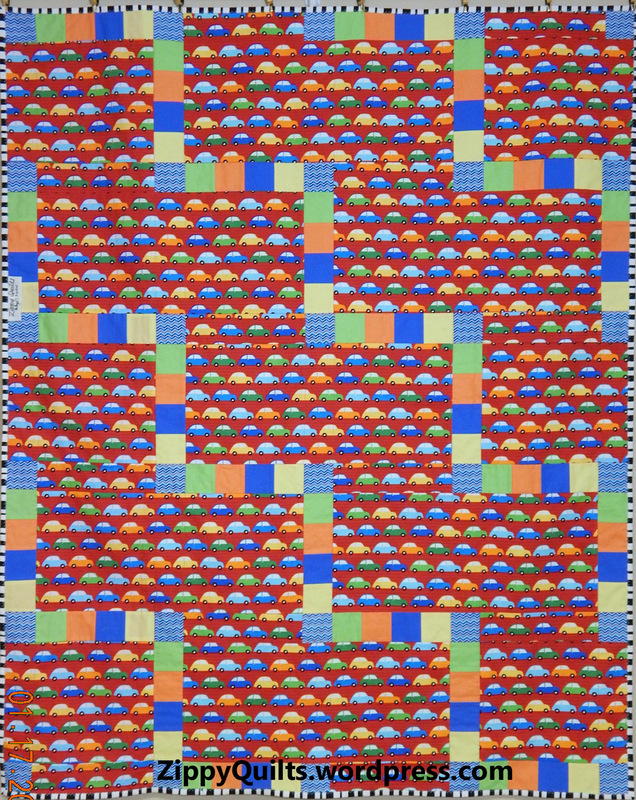 I think this simple design would be good for a donation quilt, as well. 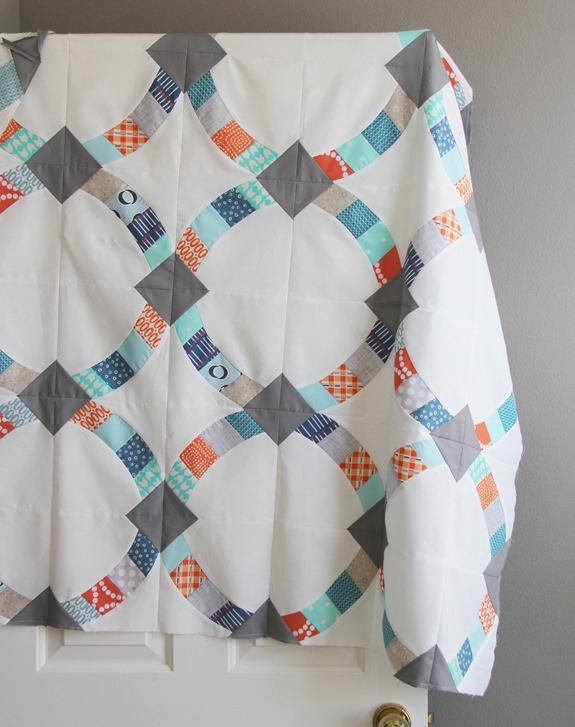 It was quick and easy to make, and I think it shows the cute fabric to advantage.